Max, the young man on the floor, believes in local, nutrient-dense real food and the freedom to acquire it. Because he delivered raw milk to his customers, he ran afoul of the state government. 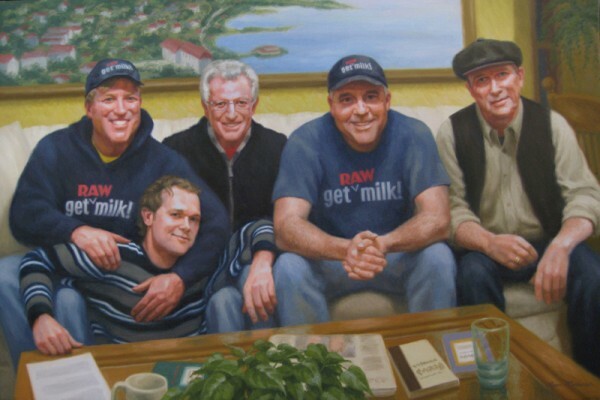 The other four men are nationally involved in the defense of a person’s right to decide what foods they eat or feed their families; they came to the small Wisconsin town to show their support for Max.